With all the large pieces and unique finds that I've been transforming lately, I thought it was about time to return to a DIY we can all do. Back at the beginning of the year I shared a few projects using supplies I picked up at Goodwill (or flea markets, yard sales, etc.) Today is another one of those fabulous projects! 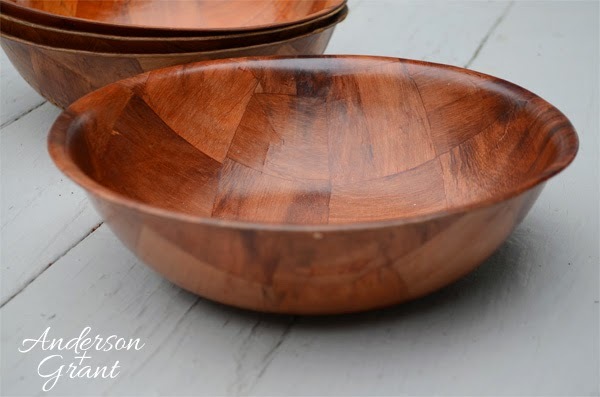 I see these wooden salad bowls all the time in all different sizes and shapes when I'm thrifting. Some even have nice scalloped edges. They are normally very cheap, which is what you are looking for in a DIY project like this! I was able to pick up a pile of four bowls on a recent Goodwill trip, with each one being just a dollar apiece. I've commented many times (or at least I feel like I have!) that I love the look of furniture that has stained wood paired with painted wood. I decided to do a twist on just a regular painted bowl like I've done in the past and chose to paint and distress the outside of the bowl, but leave the inside unpainted. 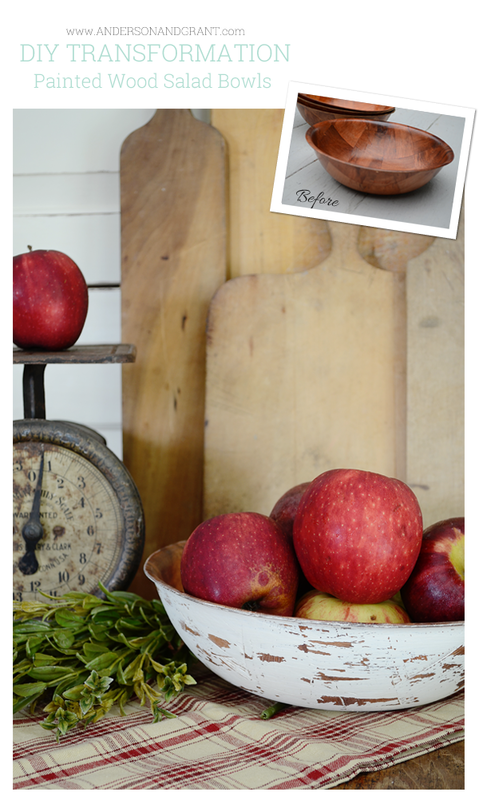 These bowls normally have a great wood tone, and I wanted to show that off. 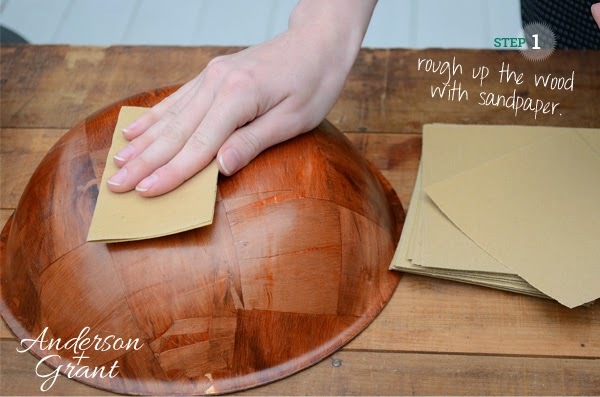 The bowls are super easy to make yourself and look great alone or in a stack. 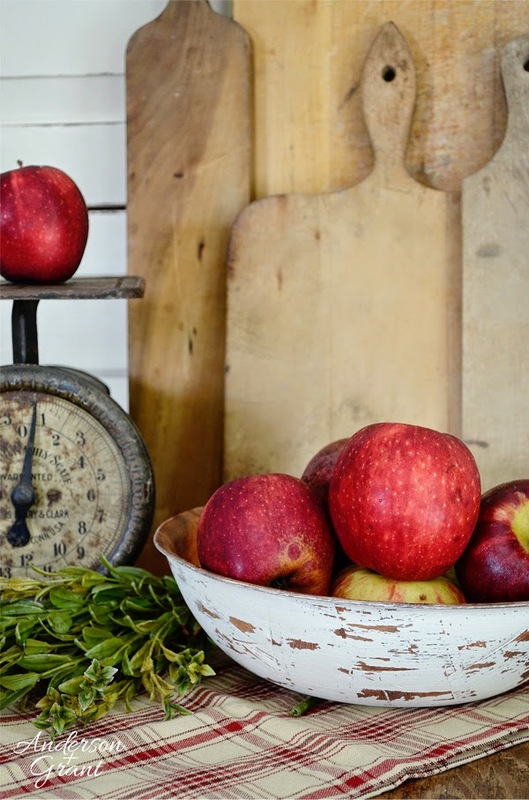 They can hold some apples sitting on your counter. 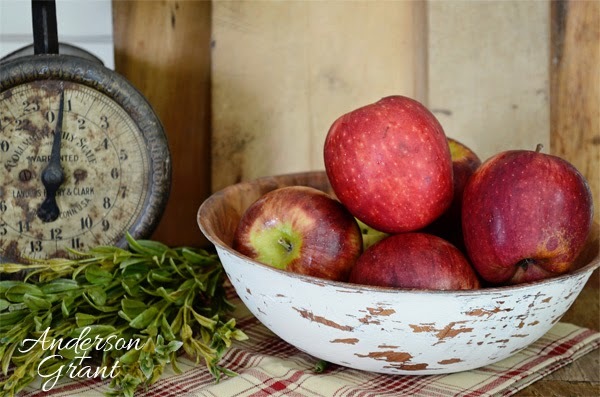 Add a candle and some greenery or grapevine for a great centerpiece. Use the bowl to hold your keys as you come in the door. So many possibilities! STEP 1: Use sand paper to rough up the finish of the wood. These bowls normally have a pretty smooth surface, so sanding will help the paint adhere better. 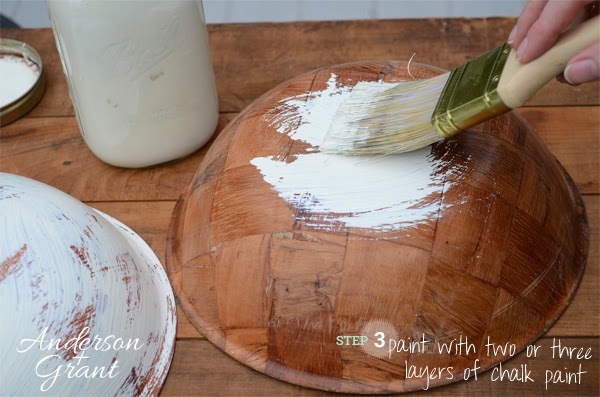 STEP 3: Paint the outside of the bowl with two (or three) layers of chalk paint. They can be painted any color based on what the look is that you are going for. If you pick up a pile like I did, you can even paint each one a different coordinating color, like shades of blue, or red, white, and green for Christmas. I did my painting in a very haphazard way, not really worrying about whether the bowl was covered completely in all places. This also helps achieve a distressed look. There were some small spots on the bowl that didn't receive any paint at all. 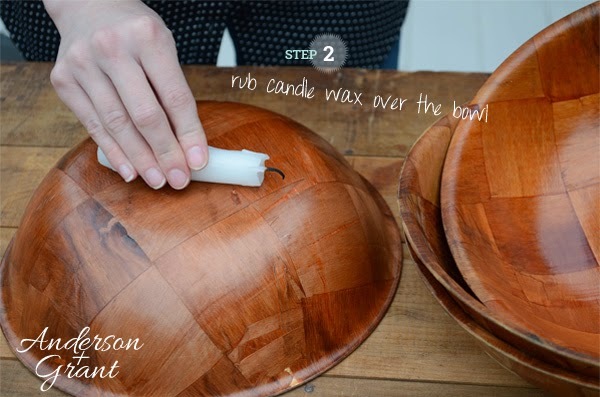 STEP 4: Sand the outside of the bowl to make the paint chip away....places where you applied a lot of the candle wax should chip away. This also makes a nice smooth painted surface. 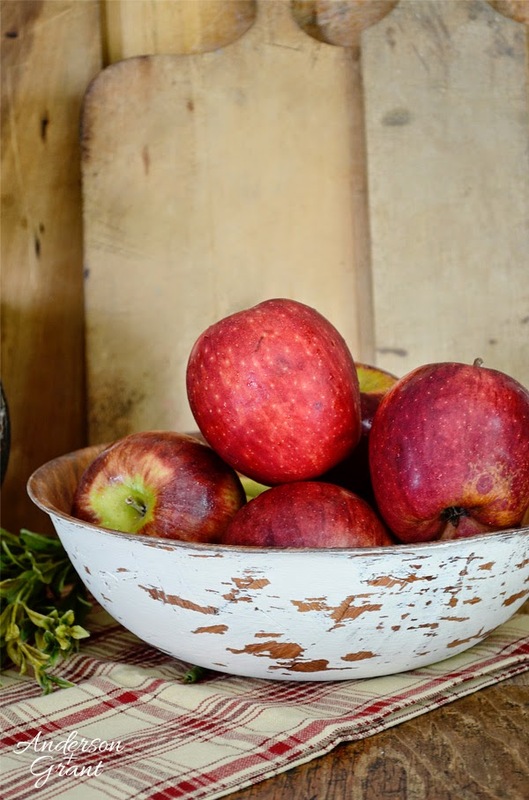 You can distress these bowls as much or as little as you would like. 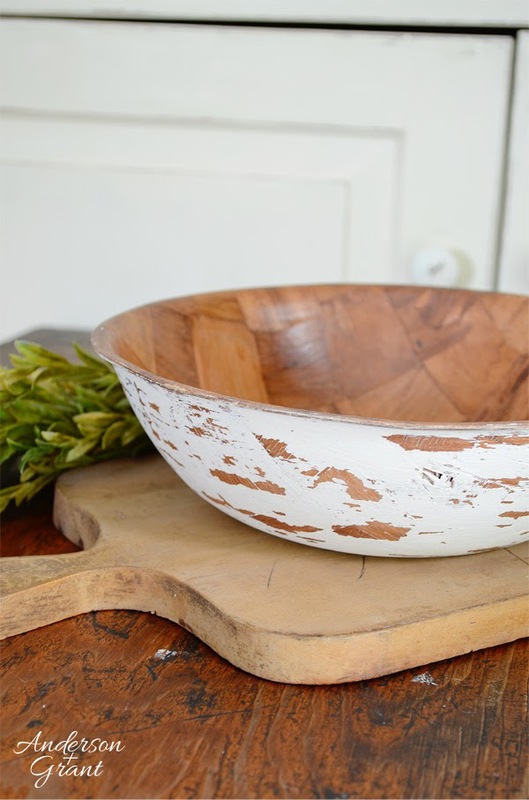 Maybe you don't like the distressed look at all, in which case, you can paint your bowls and skip rubbing the candle wax and distressing. Your version of a perfect distressed look might not be the same as someone else's. What is important is getting the distressing on any project to your version of perfect. You have to be happy with what you make.....not everyone else! 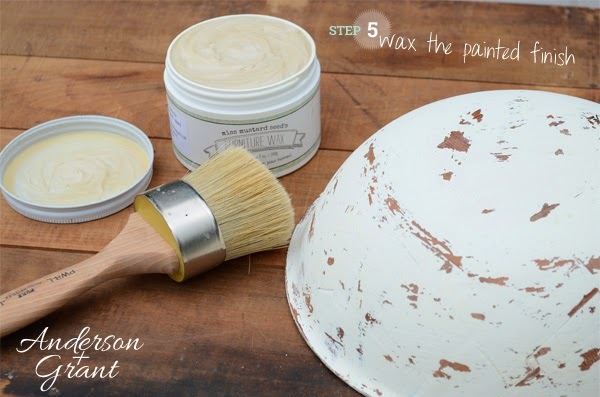 STEP 5: Coat the outside of the bowl with a layer of paste wax or polyurethane. 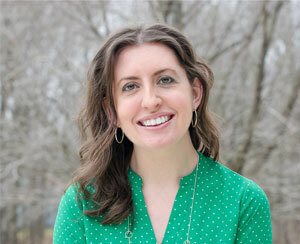 I used my new Miss Mustard Seed wax, and I love, love, love it! 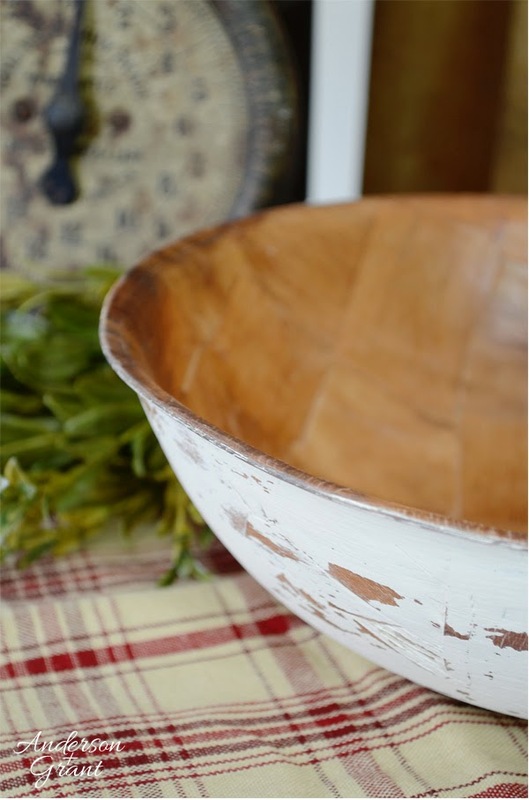 Once you are finished sealing the paint, your bowls are complete! Didn't they turn out fantastic?!?! 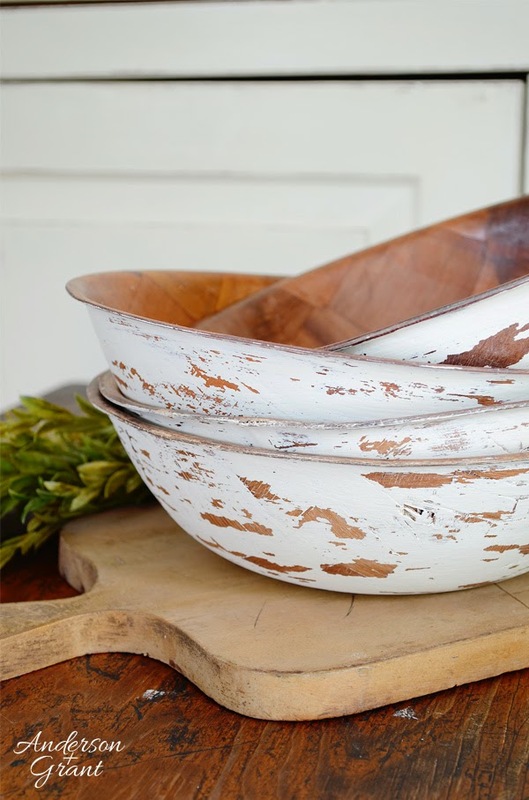 I love how chippy the bowls look and think that the color of the wood looks perfect against the white paint. But the best part is, that you can copy this idea, but customize it to totally fit in with your own style and tastes! So what do you think? 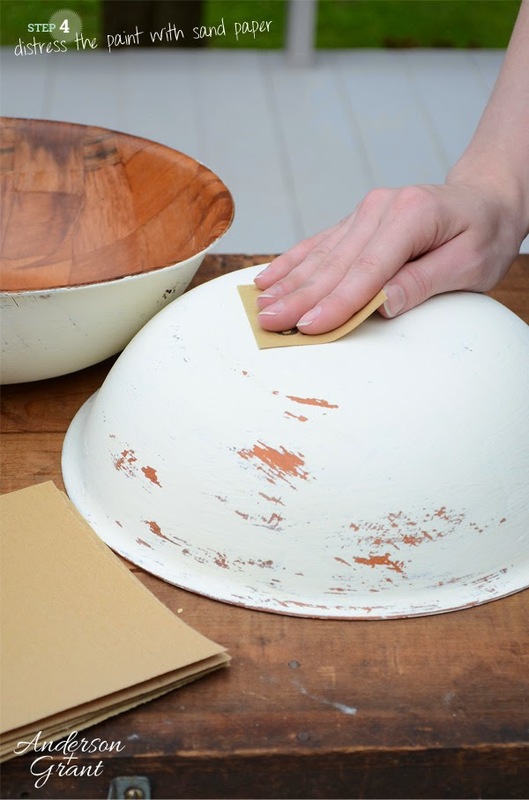 Are you going to paint a few of these bowls for yourself?